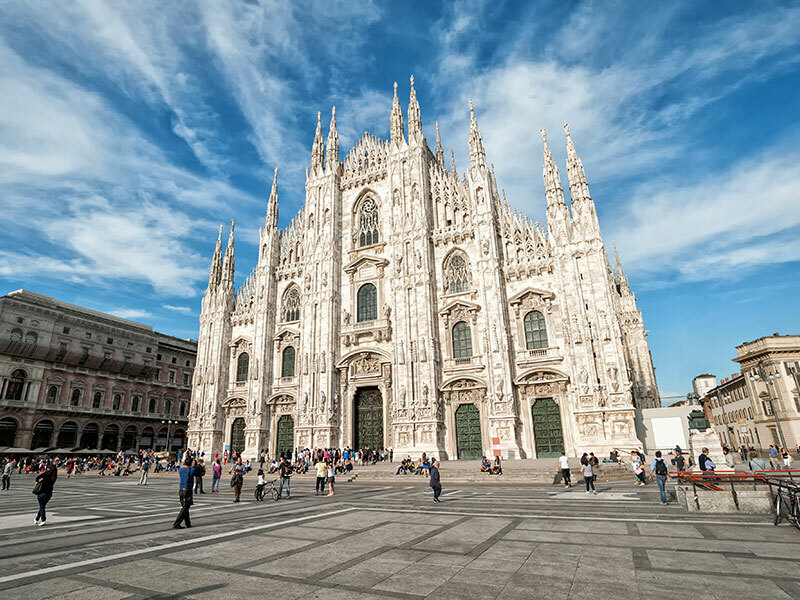 Access special benefits and discounts in Italy on tours, transfers, dining, shopping, and more. 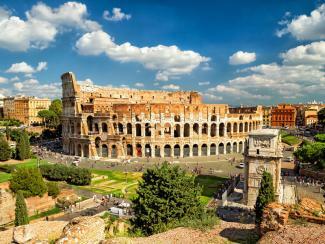 PLUS: Free unlimited entry to the ItaliaPass VIP Lounge at Rome’s Termini train station. 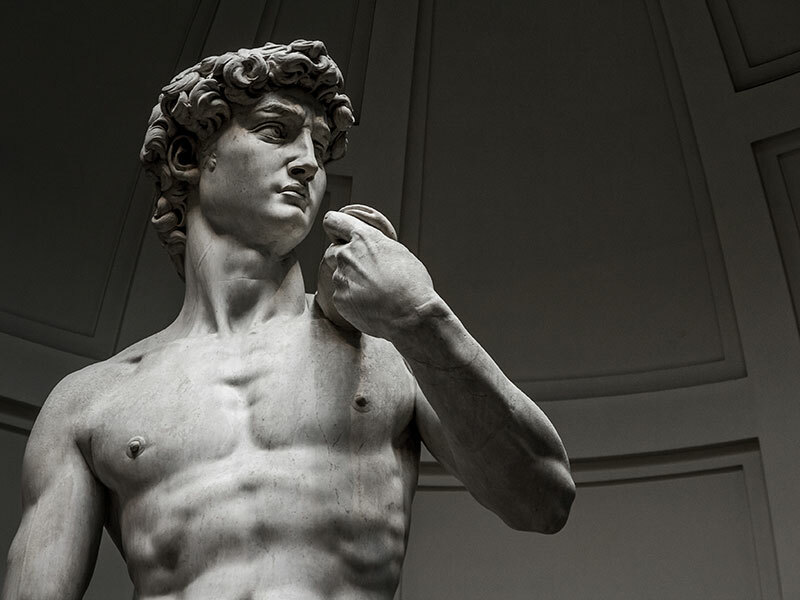 We invite you to experience Italy—for less! 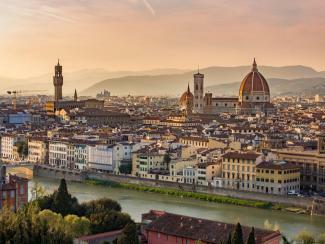 With the ItaliaPass, members save in Rome, Florence, Venice and Milan. Located in Rome's Termini Train Station, the ItaliaPass Lounge offers many services to benefit travelers both foreign and domestic. From gondola rides to Vatican tours, explore and book the best tours and most popular things to do in Italy. 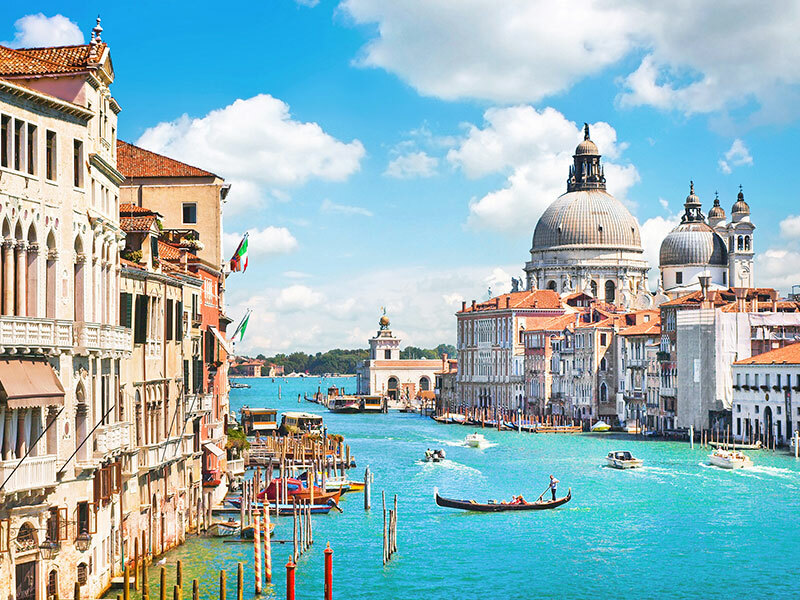 Explore a world of savings in Italy on everything from city tours to hotel stays. 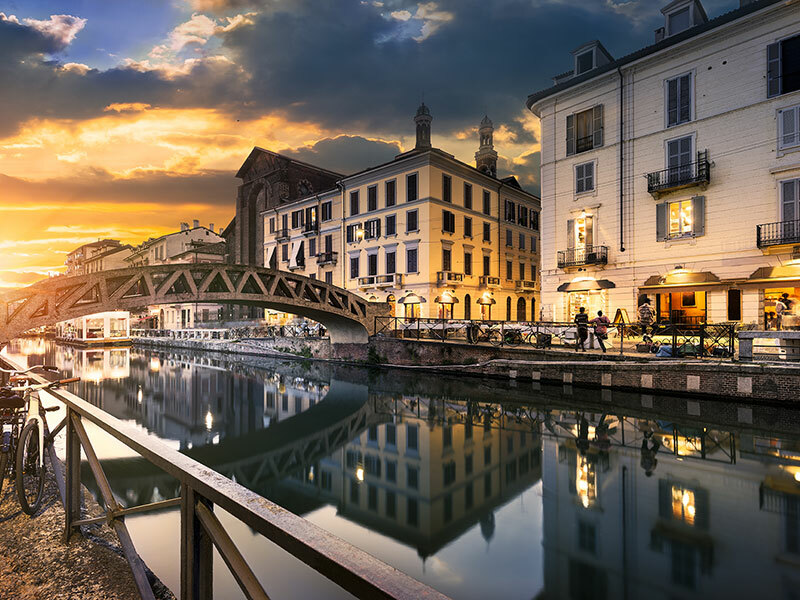 ItaliaPass members experience the best of Italy and enjoy discounts on popular things to do in and near Rome, Florence, Venice and Milan. With this special pass, which covers two adults and two children, it is possible to save hundreds on a single trip. 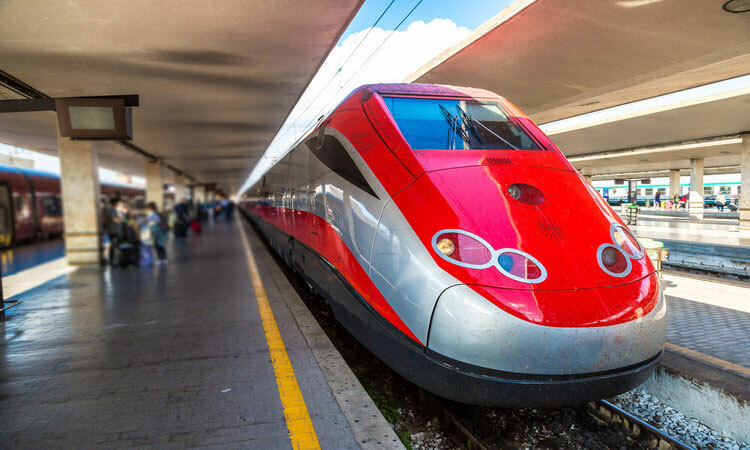 Beyond exclusive rates and pricing, members also have free VIP access to the ItaliaPass Lounge located at the start of Track 25 at Termini, Rome’s biggest train station. Passengers can relax, use wi-fi, have an espresso and plan their travels in style. The Lounge also hosts members-only events, such as wine tastings from some of Italy’s top vintners, food purveyors, lecturers, artists, and more—all free of charge. 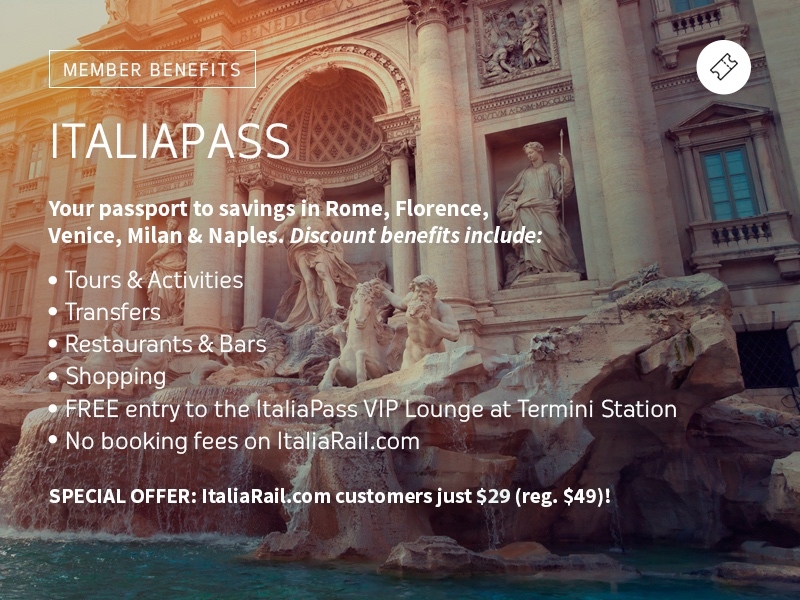 We invite you to explore the ItaliaPass benefits and discounts below, and purchase a membership today for your upcoming trip to Italy. It is our promise to you that you will be happy with the savings offered by ItaliaPass. Each membership has a money-back guarantee if your are not satisfied with our service or offerings. 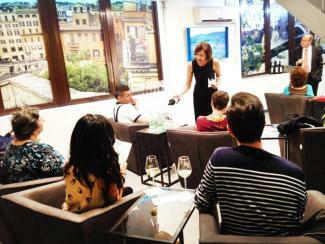 Do what you love in Italy for less! 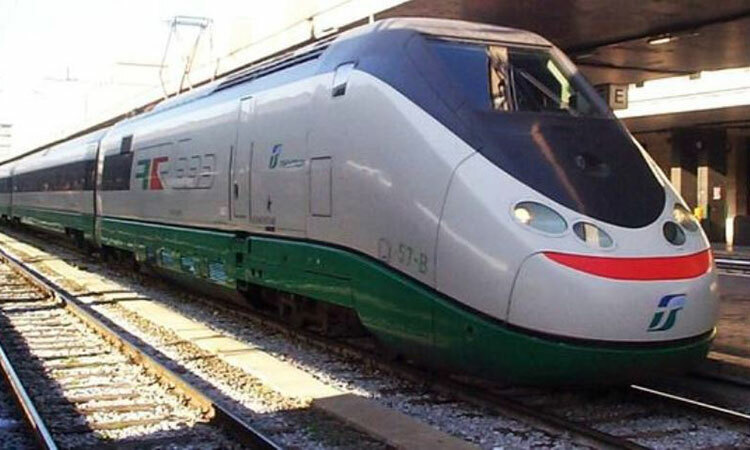 Discover Italy by train! 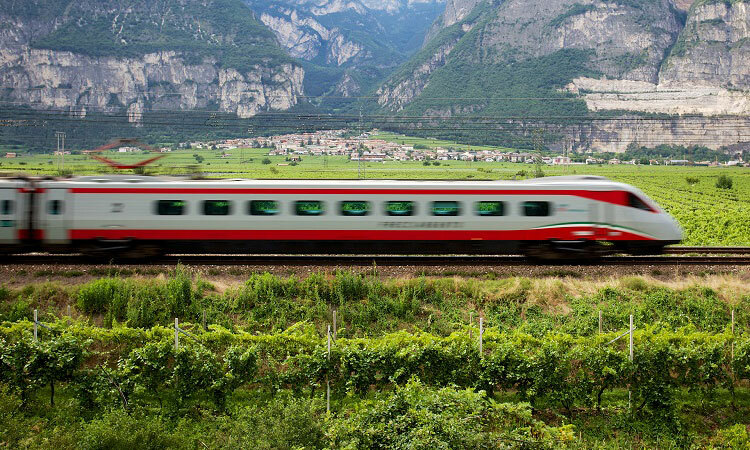 Browse and book the most popular train routes in Italy below. 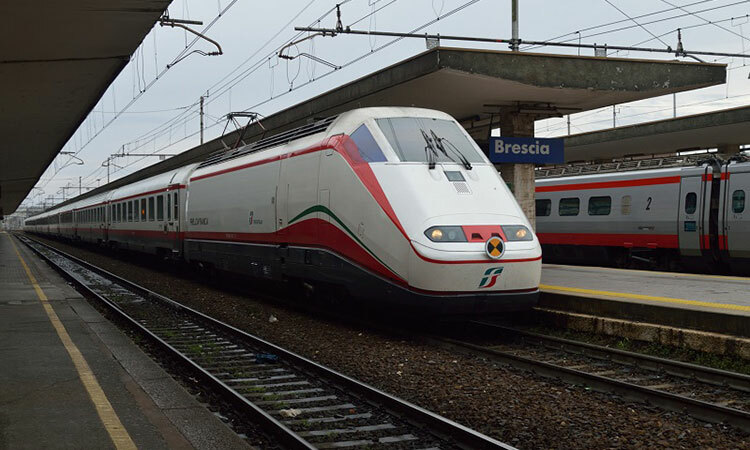 Whether you are traveling from Rome to Florence or Milan to Venice, find easy access to journey information, including distance, number of daily trains, and lowest available train fares.